Autobiography of Kaffe Fassetts' extraordinary life from birth in San Francisco to his parents restaurant, Nepenthe, which was a haven for artists of all types. 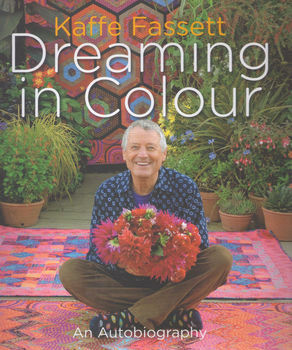 Designing knitwear for Vogue which led him to needlepoint, tapestries, yarn and fabric design. In this intimate edition he shares rich detailed stories, beautiful illustrations and stories never told about his lifelong creative journey. Hardcover.